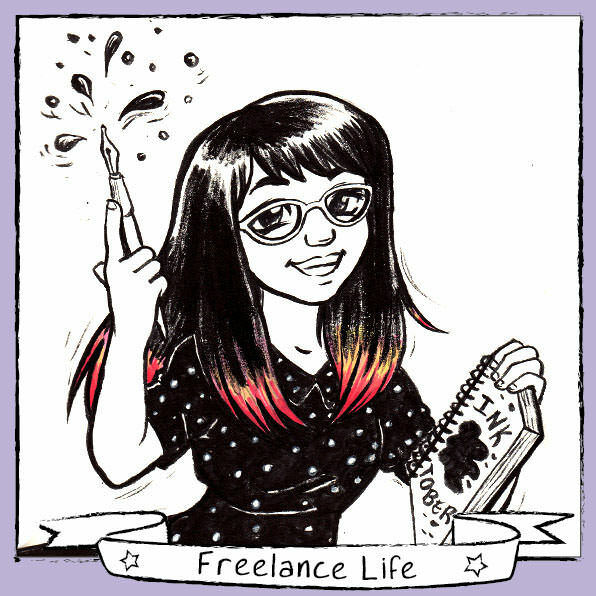 Inktober 2015 – The Freelance Life Project | Mair Perkins Ltd. 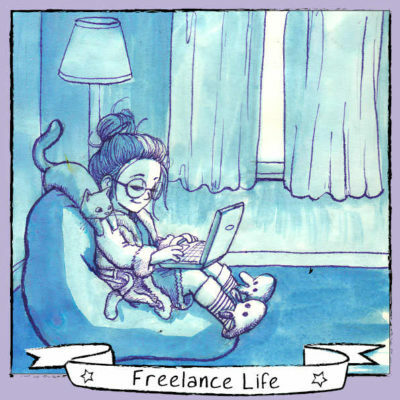 In Inktober 2015 I teamed up with Steff Lee, a fellow animator and illustrator, to create a series of ink drawings about the highs and lows freelance life. 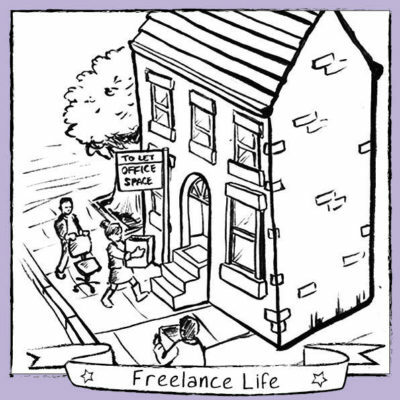 We've both been self-employed and running our businesses for a few years and found lots of amusing aspects to our work lifestyles that would be fun to illustrate. 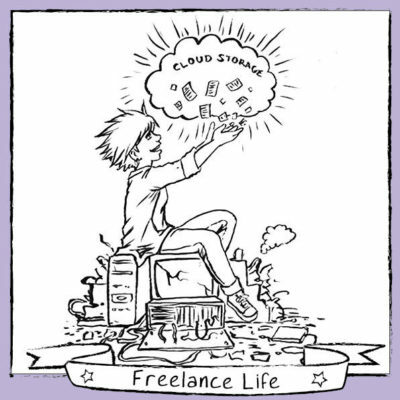 We call this the "Freelance Life Project". 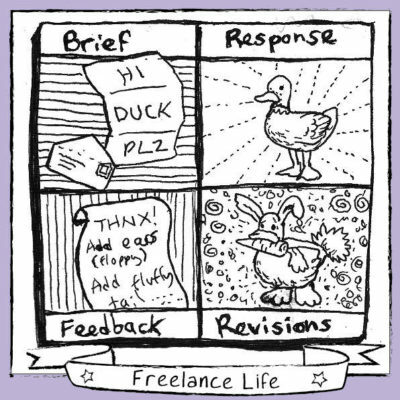 Below are my contributions to our Freelance Life Inktober. I drew the odd number days of October and steff drew the even days. You can view Steff's excellent Inktober drawings on her website. 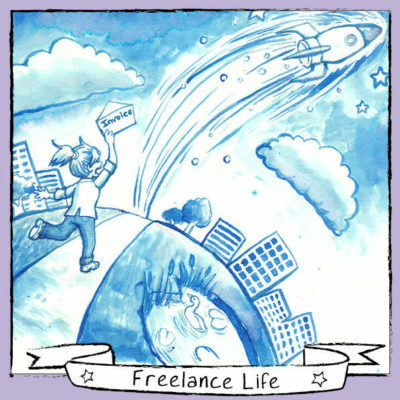 You can see all of our posts on The Freelance Life Project Tumblr Blog. 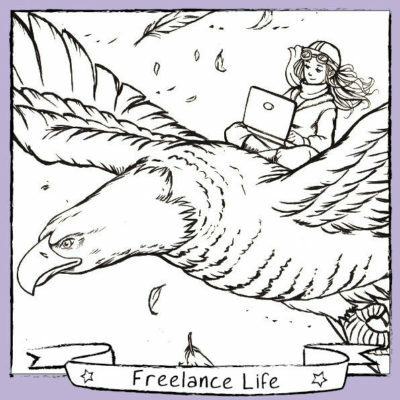 If you would like to join in and contribute to the Freelance Life Project, you can download the pink and purple PNG frames for your artwork. 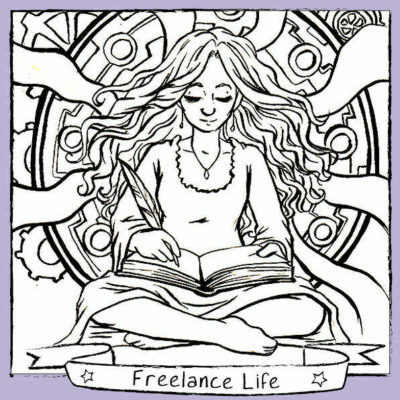 When you upload your artwork tag us on Instgram or Twitter @mairperkins @steffleeartist and hashtag your work with #freelancelifeproject. Day 1! 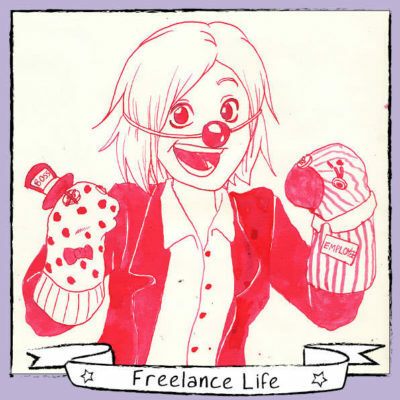 This is Steff Lee my fellow animator / illustrator freelancer friend. We teamed up for this collaborative Inktober project in 2015. Day 3 - Setting up a home work space. 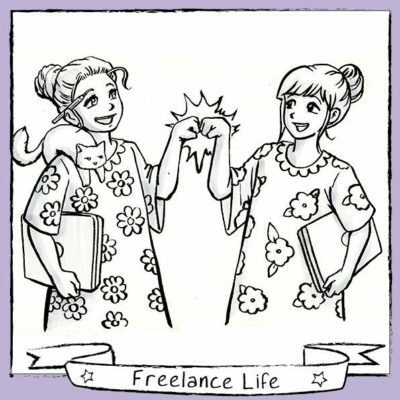 Day 5 - Working in your pyjamas all day. Day 9 - 'Overdosing on caffeine to meet a deadline'. 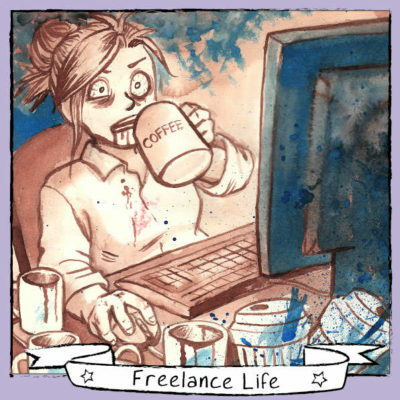 When there's several clients' project deadlines close together, caffeine is a freelancer's best friend. 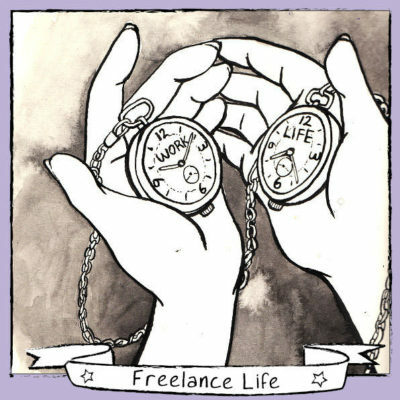 Day 11 - 'Managing your own time'. 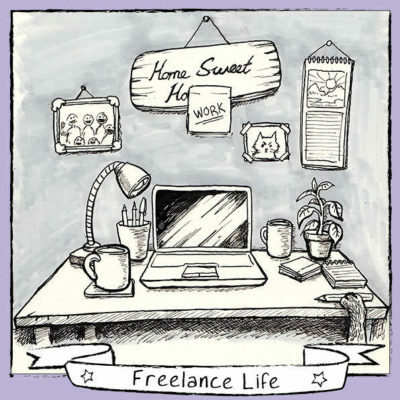 The flexibility and independence of being able to arrange your own schedule is my favourite aspect of being freelance. Personally I like to work early mornings, have a long mid day break then continue work into the early evenings. 9 to 5 isn't my thing. Day 15 - 'Getting into the zone' That feeling you get when you're completely emersed in a task and feel focused, energised and positive. Also known as reaching a state of flow. Day 17 - 'Wearing many hats'. 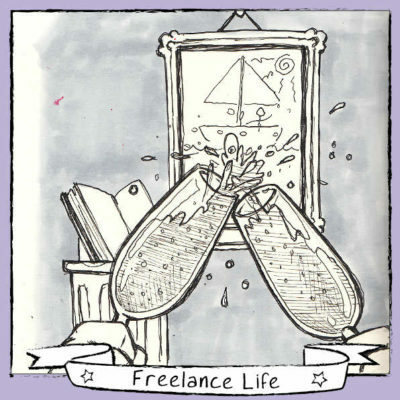 When you work for yourself you often switch between different job roles. 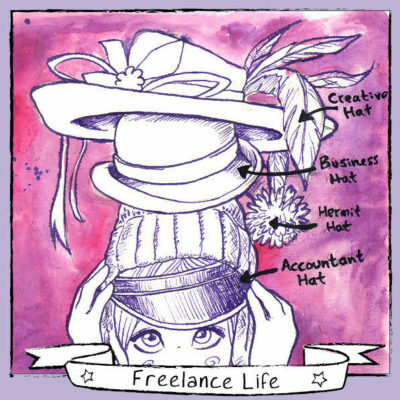 It can be fun but tricky to wear so many hats at once. 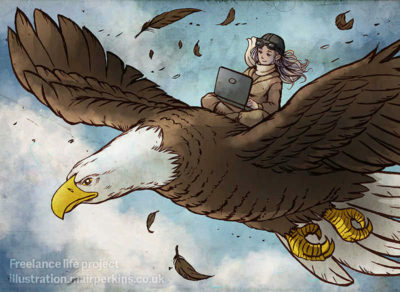 Day 21 - "Working an all nighter"
Day 31 - 'Freedom and independence' We decided to ink some uplifting drawings for the last two of the Freelance Life Project. 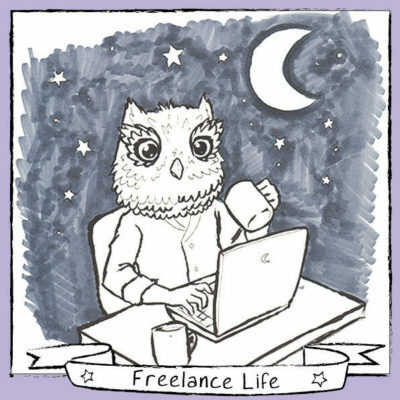 Being able to do what you love for a living is amazing as is the freedom and independence that being a freelancer or business owner brings.